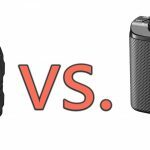 What is the best digital camera? That’s quite the question you have there. Albeit a big one, we’re here to help. With a ton of research and writing about digital cameras, we were able to complete this definitive guide for our readers looking to buy a camera for their photography adventures. Whether you’re a beginner, semi-pro or professional, or perhaps somewhere in between one of those “levels”, we feel confident to have covered all bases in the digital camera world. The best for you to buy however depends on some factors, which we’ve elaborated on below. Let’s get into it! 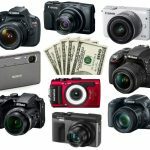 Which digital camera should you buy? As we start our process of check-marks to ultimately lead you to the best digital camera, we first start with a popular request we’ve gotten. 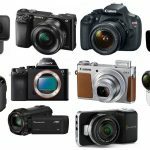 Which type of digital camera is best for me? This question comes up time and time again for our friends, family and readers. To begin, what exactly is a digital camera and what does this term constitute and categorize? In our opinion, it describes the entire branch of photography electronics that allow you to take pictures (to put it simply). Sounds pretty broad, right? 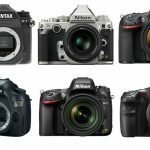 To our luck, there are many different camera types in the world that are geared towards a specific photographer — we can break them down and help you decide which camera type is best for you. DSLR cameras – Standing for “digital single-lens reflex camera” (also known as a digital SLR), the internal build of these can be summed up as a camera with a reflex design scheme that includes the light traveling through the lens, then to a mirror which then alternates to transmit what it’s captured to an image sensor or viewfinder. The benefit? A clearer picture because many other old-school cameras use multiple lenses and only having one lens ensures less communication to ensure a more clear picture. These are by far the most popular types of digital cameras in the market today (and in our opinion, will be for quite a long time). Another huge pro of these types of digital cameras is their interchangeable lens, allowing for some great custom fits and tweaks when it comes to the look and feel of your work. We’ve listed these first due to the popularity. We also feel that they’re extremely versatile and can fit for more photography needs out there (aside from perhaps their size). There are also some full-frame DSLRs you might like, albeit super expensive but amazing in quality. Mirrorless cameras – A bit more new than DSLRs in the digital camera game, mirrorless cameras bring us amazing quality and autofocus (AF) systems. They also have interchangeable lenses like DSLRs (we compare them a lot because others do as well) — however, are typically more expensive than the popular DSLR cameras. If you have the cash, grabbing one of these will never hurt. They continue to become more popular as the years go on for a reason, especially if your use entails capturing fast-moving objects with their sophisticated AF systems. 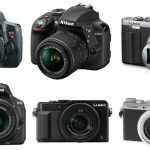 Point-and-Shoot cameras – Here’s what many would (or at least used to) associate the image that comes along the term “digital camera”. Coming in at a more compact and versatile size, these are still pretty relevant today despite the ever-growing popularity of DSLRs and mirrorless cameras. They’re a perfect solution for those who think the previous two digital camera types are too big, especially if you plan on traveling or being on-the-go frequently. Some can fit in your pocket, others perfectly in the front of your carrying bag. Many even provide us with 4K video resolution if you want to film clips as well! Other, less common camera types – Instant cameras, Bridge cameras (aka super-zoom), medium and large format cameras, cameras on drones, dash cams, etc. There would be too many to name when it comes to some obscure camera types, but we did write a few buying guides if you were interested. What will be your camera’s use? Although many photographers we know have more than one exact use of their cameras, we know many who have a predominant application they intend on using their camera for. If the latter works for you (or even the first, grab a camera that fits more than one optimal use like a DSLR or mirrorless), try to keep in mind the combination of camera type and if it will be efficient for what you visualize yourself needing it for. There are some ways to channel your thinking when it comes to type + use. For example, are you capturing sports? Although it depends on your sport, you may want to grab a camera that has a great autofocus system or some versatility if you’ll be holding it steady (mirrorless camera or even a DSLR). How about stills for modeling shoots? Any will do since this is a bit more versatile; however, DSLRs are great for this. What about your traveling adventures with a family? Point-and-shoot cameras would be great for you. We hope you can catch our drift with this line of thinking. If you have a tricky use and want some advice, let us know in the comments. That are some tricky terms that come with shopping for a digital camera that may throw you off. We wanted to spell out some of the more popular ‘features’ and ‘specs’ camera brands highlight when it comes to pushing their camera as “the best”. Let us know if we need to cover some more, but we’re confident the below will help you get going in analyzing what these terms and numbers are about. You can also read our more in-depth camera specifications guide for more info. Megapixels: So how many megapixels (MP) do you need? Many cameras list their MP count proudly, since it may be higher than the norm, or at least their competitors. This is true in a sense. A camera’s megapixels represents it’s ability to capture pixels (smaller pieces of information\mini images that make up the bigger picture — think TV’s and those tiny dots that make up the screen when you look really close at it). One megapixel equals one million pixels. The more pixels that are captured, the higher the resolution of your image. Is a 20 MP camera that’s $100 to $200 more than an 18 MP worth it? We would say no, at least for MP that is. You need to make sure you camera has other features or better sensors\processors before you spend extra on a camera for the MP count alone. We recommend sticking with a 15 MP count or higher, at least. Image sensor: This is a solid-state device that’s built-in to your digital camera responsible for capturing light and converting what you’re taking a photo of. Many compare this part of your camera to what film is for a video camera. The higher quality and more advanced your sensor is (capturing it quicker and\or with more information), the better your image will be. Image processor: As we saw sensor’s act like the film of your camera, the image process is a different part of the internal build responsible for quite a few tasks as you take a picture. It’s tasks include understanding the colors, brightness, reduction of noise, sharpness of the image, and more. This is essentially the brain of your camera. ISO sensitivity: To put it simply, ISO sensitivity is your camera’s ability for capturing light. The bigger the range, the larger spectrum of light you can grab while you take photos. Be concerned with ISO sensitivity if you’ll be in more complication lighting or environmental conditions, however most cameras should be fine for amateurs. There are ways to tweak which ISO settings to be on, which will take not only some research on your part but experimenting in the field until you find what feels right for you. Now that we’ve brainstormed on what type of camera you need, how to visualize your intended use, and what the little advanced terminology and specifications mean, we need to see what our budgets look like. We’ve seen some amazing budget-friendly camera for $500 or less, but what about the behemoth’s hitting up to a thousand and more? This is a pretty broad topic so we’ll keep it short, but we wanted to include it because the price-point of digital cameras is one of the biggest ranges out there. Here are some popular extra features cameras have. When we say “extra”, we mean qualities of its overall presence as well as little built-in “features” that aren’t necessarily musts, but additions that may or may not justify the price for you, depending on the person. Shape and size – Some ask us, what is the best compact digital camera? We highly recommend a point-and-shoot. Others wouldn’t dare grab a smaller camera if their use is a bit more professional or they’re more concerned with quality than size. It all depends on the photographer. Do you want video? Our best video camera buying guide can shed some more light on this subject. Most of these however do in fact come with video filming capabilities, which we made sure to write down to help you out if this was a concern. Camera modes – There some preset “modes” camera offer, which helps photographers just starting out or needing convenience tremendously. “Night time”, “intelligent scene” (auto detection of the environment you’re in), HDR, etc. Some like to do this manually (adjusting the ISO and other smaller features in your menu settings), while some like the auto-detection so they don’t have to worry about it. Filters – Black-and-white, fish-eye, grain, etc. — they sound awesome if you’re in to tweaking the look and feel of your pictures. Others may not care and apply filters during post-production. Zooming – One little downfall for DSLR or mirrorless cameras is their lack of higher numbers of digital zooming. Don’t get us wrong, they zoom, but if you’re concerned with capturing your photos from a far (perhaps in nature? ), making sure you have some optical zoom will never hurt. Others won’t mind. Built-in Wi-Fi and NFC? Do you feel like instantly uploading your pictures to the internet or your computer? Or are you OK with using an external memory card and uploading them after you capture the photos? 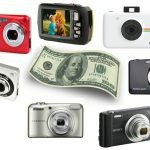 Protection – Do you want a waterproof camera? How about dust or shock proof? Those in the outdoors may need it, while others couldn’t care less. Frames-per-second (FPS) – Continuous shooting is a love for many, since it helps you capture numerous pictures at once so you can later select the best of the bunch. This helps for modeling, weddings, and the like. What’s your level as a photographer? This is a pretty subjective term, and although we were pretty hesitant to add this, it’s geared towards those who may want a suitable camera for starting up. Others in the amateur, semi-pro and professional range will need to take the previous buying guide factors into consideration since the “photography level” term is quite subjective. We do have a few guides that may interest you starters and beginners below. As we near the end of our best digital camera check list, make sure you keep in mind some extra gear you’ll need for both use and budget purposes (some don’t factor to that in their spending power). These include tripods, carrying cases, external microphones, lighting setups, and more. If you grab a DSLR camera, don’t forget you may need an additional lens (or two, three, four — depends on your style) — some of these could cost more than the camera body itself! Lastly, don’t forget about your photo editing software. To start off our list, and trust us it was quite difficult to list the #1 best digital camera considering how many factors come in to play (as you can see), we’re looking at the EOS Rebel T6. Instead of going with a professional camera that’s a thousand bucks or above (which we have a few in here later on), we’re going with a safer pick that will appeal to a larger audience, at least to get his list going. We digress, and here we have a classic DSLR camera with the modern technology needed for the perfect picture at a great price (at least compared to others). With 18.0 Megapixels and a DIGIC 4+ Image Processor, this camera offers high-resolution images with high clarity color, even with low light situations. The ‘Scene Intelligent Auto Mode‘ automatically adjusts the exposure to create high-res quality, and even accounts for facial recognition and movements of objects in the frame if that’s what you fancy (you can always turn it off to do this manually). The camera captures videos with a Full HD 1080p movie function in case you need it, and it also has multiple filters such as fish eye, soft focus, and grainy black-and-white, to let you be creative in how your photographs are captured. This is even further enhanced with Basic+ function, designed to enhance your photograph based on the specificity of what you are capturing. With built-in WiFi compatibility with most devices for easy uploading use, the Canon EOS Rebel T6 is one of the best digital cameras available in our opinion and gets the engine started with our top 10. 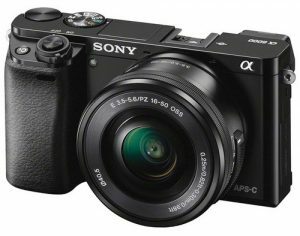 A small design with upgraded features, the Sony Alpha a6000 is the best mirrorless digital camera for keeping track of moments in everyday life. This is our mirrorless camera of choice, and we’ve loved every second of having it thus far. The ‘Fast Hybrid AutoFocus’ is the real winner of this camera, with multiple features ranging from a burst mode with 11 fps, 179 phase detection points, and accurate tracking for movements and stills in both photos and videos. The four dimension (D) autofocus uses a combination of area, depth, and time to capture every movement at every speed with precision and focus, even when recording video footage. This is probably what will steer you in this direction as opposed to other DSLRs in this list. We rarely have to worry about focusing in on our subject since the autofocus is almost instantaneous (there will be exceptions, such as in difficult lighting and what not). The ease of this digital camera is also meant for all users, with a mode dial that encapsulates all of your needed quality features and a LCD screen that can tilt up to 3 inches for a unique perspective on your subjects. Near Field Communication (NFC) takes the hassle out of transferring photos for users who don’t like to mess around with post-production, and the direct upload link allows you to post your photos or videos wherever you are. This Sony Alpha a6000 pick is easily personalized, making it one of the best digital cameras for the money. Grab this one if you were inclined to grab a mirrorless camera within a reasonable price-point and are concerned with autofocus (and perhaps the smaller size, too). 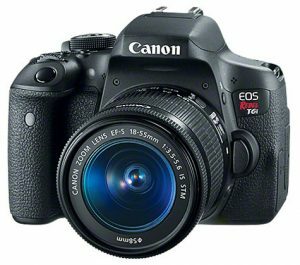 Looking at another very popular camera from Canon, the EOS 6D is the best digital camera for the amateur photographer with a desire for photos that look like they have been done by a professional. With 20.2 Megapixels, the DIGIC 5+ Image Processor on this digital camera allows for high-resolution photos with precise clarity on every shot. The camera works at a fast rate, allowing you to shoot up to 4.5 frames per second (fps) so you don’t miss a moment. The processor boasts an impressive noise reduction system for those times when you are shooting a video, and thanks to the anti-reflective design, even allows you to have detailed photos or videos in low-light situations. The High Dynamic Range (HDR) features three different modes to capture your photos (Multiple Exposure, Scene Intelligence, and Special Scenes) giving you the option to have as much control as you feel necessary in every shot. 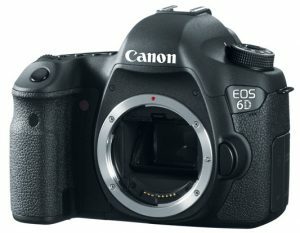 Although higher in price than many others, the Canon EOS 6D is one of the best digital cameras available if your budget allows. A slightly old-school look with updated technology, the X-T2 is an upgraded version of a classic camera. With an image sensor and processor that can take as many as 8-14 fps, it’s easy to accurate track all subjects moving at quick speeds. The sensor, known as the APS-C X Trans CMOS III, produces natural looking photographs, while the X-Processor Pro gives you fast detection and enhances image quality. This digital camera can also record up to 10 minutes of high-resolution video that can be edited for a personalized feel of the footage. It is also one of the best digital cameras for outdoor users, with a weather-resistant frame and a larger grip for optimal control. Also enabled with WiFi, this digital camera uses the ‘Fuji Camera Remote app‘ to sync it to all of your devices for at-home viewing and editing. 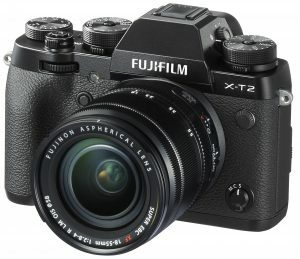 While on the higher end of the budget, the Fuji X-T2 is a high-powered versatile digital camera with lots to offer if it fits your needs. We slip back down to a lower cost digital camera with a portable design here. The DMC-ZS50 is designed to be one of the best digital cameras for travelers. With wide range imagine, 10fps high-speed shooting and manual focus, this digital camera lets the photographer be in charge of the shot while capturing every subject with clarity and focus. The control ring feature lets the user zoom, focus, and examine the exposure of each shot, and lets you zoom in with precision using a 3cm macro shooting design. Blurred images are typically never a problem with the ‘Optical Image Stabilizer‘ and level shot sensing, which automatically shifts the focus of the camera when it senses it is off-balance to the subject. This camera is also equipped 100 fps of high-speed video, and features Time-Lapse recording so that you can compress your longer shots into smaller segments for viewing ease (not necessarily a must but a cool feature in our opinion). This is the best digital camera for an on-the-go lifestyle. 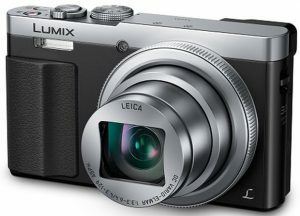 The Panasonic Lumix DMC-ZS50 provides something for everyone. Another DSLR camera here, and for the high-tech users looking for a digital camera with features as accessible as your phone, the Nikon D5300 is equipped with you in mind. This is definitely the best budget-friendly DSLR we could find to put in here. With built-in WiFi and GPS mapping, you can edit your shots directly from the camera before sending them off to all of your compatible devices. In terms of specs, the camera comes equipped with 24.2 Megapixels and a 1080p Full HD recording camera, so whether you are taking a shot to capture a moment in time or recording a video for a longer period, the resolution on this camera lets you see everything with full clarity and focus. The autofocus isn’t necessarily mirrorless camera quality, but it does comes with 39 point density that focuses in on your subject thanks to the 9 cross-type sensors. Also, with six different settings and a color palette option, you can personally design your shots to match your creativity. 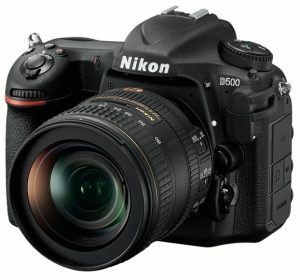 The Nikon D5300 is one of the more versatile digital cameras on the market, and also quite affordable on top of it all. Canon is back at it again, with a lower budget option but continuous high-tech features found in the PowerShot G9 X. If you were in need of a more compact digital camera (point-and-shoot), here’s a very solid pick to keep in mind. With 20.2 Megapixels, the strongest feature of this digital camera is its use in low-light areas due to the High Sensitivity CMOS Sensor. The sensor and Optical Zoom lens work together to give you fast shutter speeds and close-up shots for clear, high-resolution photos. Whether it be on a well-lit day or at night, the zoom and features such as Star Mode let you capture focused images with little light and no need for a flash. Blurred images are also not a worry with image stabilization, and a 3.0 inch that lets you customize and edit your photos directly on the camera’s interface. The control ring also gives the user the ability to adjust the shutter on the camera so that they can control what they are capturing and how quickly the camera is moving. 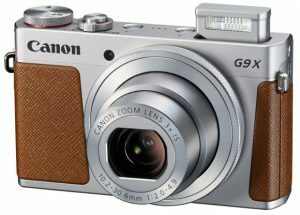 A small size that makes the Canon PowerShot G9 X a near-perfect digital camera to take on-the-go. Canon again shows why it has some of the best digital cameras on the market, especially when it comes to quality point-and-shoots. 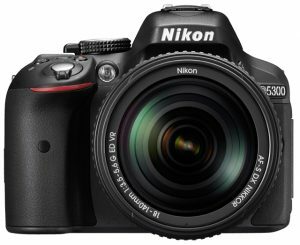 Adjustable, customizable, and designed to give you the most clear images that a digital camera can offer, the Nikon D500 is the best professional performing DSLR camera available today. The NIKKOR lenses featured on this camera lets you move from photographing outdoor images, fast-moving sports, or stand-still images with precision and clarity, while the EXPEED 5 processor offers 10fps, 20K autofocus, and 99 cross type points to capture every image at every angle or movement. The 3.2 inch touch screen tilts to give a 170 degree viewing angle, making sure every angle of every shot is accounted for. The body of this digital camera is also meant for the great outdoors, with dust and water resistance and a durable design for all areas of life. Is it higher on the budget? Yes. But for the perfect image with optimal clarity and focus, the Nikon 500 is hard to refuse. Take a look at this thing if you’re serious about your photography. You won’t be disappointed whatsoever, especially as a long-term investment for a large learning curve of its advanced features. Highly rated and reasonably priced, the DMC-FZ1000 is another camera from their broad Lumix series and is one of the best high-resolution digital camera to take outdoors. Known as a long-zoom camera, this 8 Megapixel Hybrid camera can record 4K of video, with optional features such as slow motion or a personalized feel of manual operation. You can even switch from camera mode to photography mode to capture still images with playback screen grabs to catch moments in both modes. The larger lens has a 16x zoom if you were concerned with that and the 20.1 Megapixel sensor reduces unwanted noise and captures light in an efficient way. The Depth from Defocus (DFD) feature is the high-tech feature users are sure to love, with the ability to automatically focus in on a subject by calculating the distance and sharpening to get quality images. With tilt correction, 3 cm of focusing, and WiFi capability, the Panasonic Lumix DMC-FZ1000 has all the features needed for the perfect image, especially if you were in need of some supreme zooming. It’s in the middle price-point to give us a great choice for those who land within the budget-range. Last but not least, we have the Alpha A7R II. 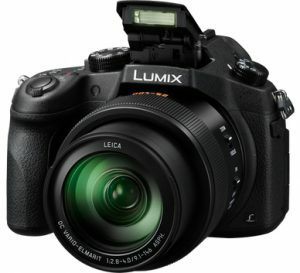 The highest priced digital camera on this list, this award-winning and highly reviewed device offers 42.4 megapixels, exceeding all other digital cameras previously discussed. Coming in for the pros, the 35mm full-frame CMOS image sensor combines with a 5-axis image stabilization and Hybrid AF system for blur reduction, high-resolution photos, and enhanced lighting in all photos and videos. A reduce vibration shutter takes away any shake that may occur with the shutter of the lens, and Silent shooting mode also reduces the amount of noise produced as each image is shot. A Super 35mm lens creates precise videos in both Full HD or 4K quality, resulting in high-resolution images and the option for a full-frame format. 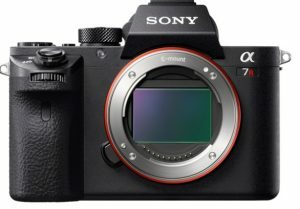 With a durable body and the ability to back up all photos and videos to PlayMemories Online, the Sony Alpha A7R II has not only all of the necessary features for the perfect shot of all life’s moments, but for the heavy-hitters in the photography world who go all out. This thing is a beast to help our list end with a bang. Who is your favorite camera brand?